Welcome back to the Million Dollar Case Study Europe edition. This week, after some pesky technical difficulties (happens to the best of us), we kicked off a super insightful session with guest expert Manuel Becvar. We invited Manuel to join us in this session as I am right in the middle of finding a suitable manufacturer for my product idea (sleeping bags). 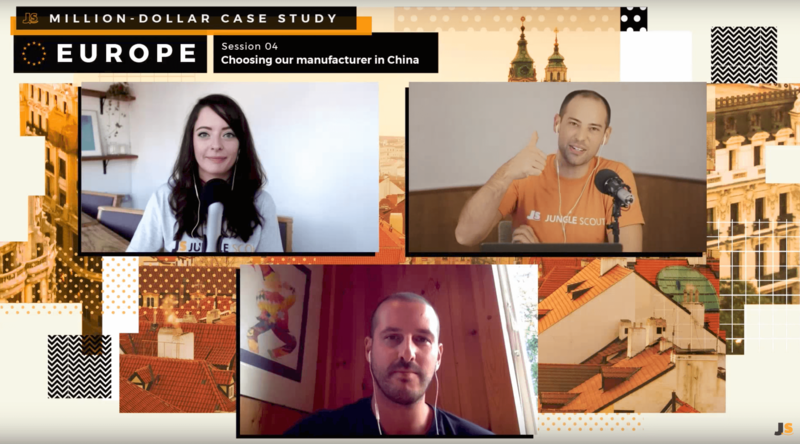 As a new seller, there were many questions I had about this process, so we decided to run this session as an interview with me asking Manuel questions, and with Greg asking further questions and taking questions from you, the audience. 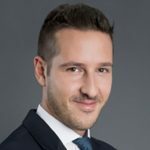 With over 17 years experience in retail and 10 years based in Hong Kong, Manuel is an expert in the manufacturing industry, and he’s an Amazon seller too. Greg mentions in his introductions that he believes Manuel is one of the leading experts in this space, so I was really excited to get the opportunity ask my questions. As always, I am going to round up the key information and points made in the session in this post. Are there any scams to look out for? Ultimately, my goal is to narrow down my supplier outreach to my top three, and order samples from those three. That means that if you are following along with this case study in real time, or step by step at a later date, this should be your goal too! So make sure you catch up and stick around for the homework and free template download at the end. I would highly recommend giving the replay video a watch too, as Manuel did such a great job of answering all of my questions concisely and gave out a lot of useful tips. Question #1: Are there any scams to look out for? I wasn’t sure if scamming was common when using Alibaba, and if so, what to look out for. To put my mind at rest, Manuel’s first comment was that it is becoming less and less common for people to get scammed. 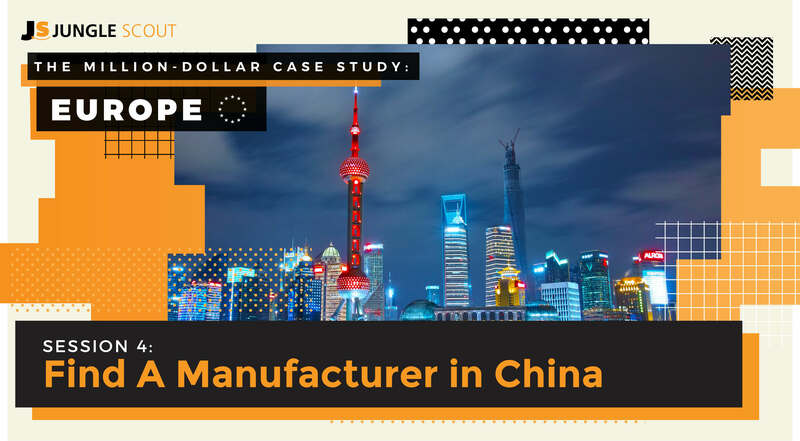 This is in part down to Alibaba and other marketplaces like Global Sources having increasingly good checks in place to vet the suppliers they allow to do business on their websites. Whilst we were talking about trading companies, I took the opportunity to ask Manuel about whether we should only use manufacturers, and whether suppliers not being clear about whether they are a trading company is a red flag. 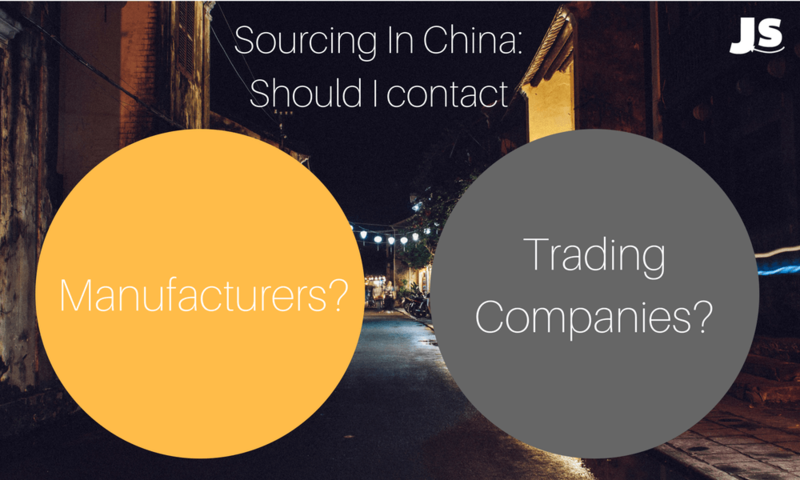 I have already come across a few suppliers where it is not clear if they are a trading company or not, so this is something I have been asking each supplier I sent an outreach email to. Manuel mentioned that he does actually use trading companies himself, and sometimes finds that they are well staffed and have experienced sourcing agents who can get him the best product, so he does not mind paying an extra 20-30 cents. Having said that, he also agreed with Greg’s sentiments from last weeks session that you do usually get the best price from manufacturers, and it’s sometimes a faster service as you are not dealing with a “middle man”. From what I could gather, trading companies can be useful once you are an established seller and are making larger orders, but if you are launching for the first time, beware of higher prices and slower lead times. I am still going to try and find a manufacturer at this point in time! All in all, a little bit of investigative work and using your best judgement will never go amiss! Question #2: I’ve never visited China, what do I need to know? Try a bit of Chinese in your emails – for example “Ni Hao” – this shows that you are making an effort and taking an interest and many sales reps like to see this. Appreciate gifts – it’s typical for Chinese suppliers to give gifts, so accept them and be grateful. It’s never a bribe and it doesn’t mean you should go and place an order with them, it’s just a really friendly token of appreciation. Address people by their last time and a title, it can sometimes be considered offensive to use the first name. A really useful tip if, like me, you are used to sending very casual emails. Don’t bring up politics or criticize China – this one speaks for itself. Be on time for meetings, which is good manners for any business relationship. Overall, you will start to get a feeling for those who want to work with you and those who may not be a good fit for your business. Use your intuition! I noticed suppliers sending me WhatsApp, WeChat and Skype information, so I asked Manuel if this was normal and whether I should use these tools to communicate. His stance was that for small questions that only require a quick response, this is fine. But for anything that you need in writing, it’s always best to stick with email to keep the trail in writing. If you have an urgent issue, try a video call on Skype. Especially if it’s an inspection issue and you need to get your suppliers opinion, it’s best to get them on a call so they will give you a response on the spot. Question #3: What responses should I expect from suppliers? I started to notice from the responses I’ve had so far that some suppliers went out of their way to answer all of my questions, some answered a few of them, and others sent really short responses with no useful information. Manuel’s advice was to ignore the ones that give you nothing in return, but the caveat here is that you need to make sure you send a well structured email to begin with. If you missed it, check out last week’s session for the template I used and download it here. On the other hand, Manuel also mentioned that you need to be aware of the fact that sometimes agents are just overworked and dealing with lots of clients. Not just that, as an Amazon seller you are a smaller client. They will have many people purchasing 5000 units and more so it’s important to remember this before you dismiss a “mediocre” response completely. In the end, you need to have a lot of patience, as you will be emailing lots of people and getting varied responses. If you get the feeling that a supplier may be a good fit but has not answered all of your questions in full, just keep responding and asking them until they do answer. You should get a feel for if they are genuinely interested in your business, so sometimes a little persistence pays off. In my experience so far, there have been no particular issues with the language barrier. All of the responses I have had have been easy to understand, but again, remember to be patient with someone who speaks English as a second language. 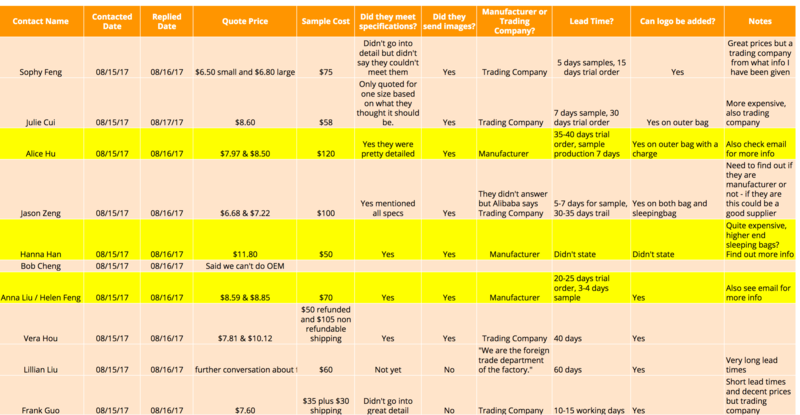 Do smaller sellers need to find smaller suppliers? This was a question that Greg added which is that if you are a new seller, should you look for smaller factories? Manuel’s response was that yes this can be a way to build a strong supplier relationship, but just be mindful that they may not be as experienced or require a little more hand-holding. The benefit is that it might be easier to get a foot in the door as a new seller. A super useful thing to remember is that holidays (like Chinese New Year) or local issues, can have a huge impact on working with businesses in China. For example, right now there are delays with many factories because the local environmental agencies are shutting down factories. Question #4: What positive traits and red flags should I look for? Are they communicating with you frequently? Is the supplier pointing out things that you may have missed or suggesting things to help you improve? 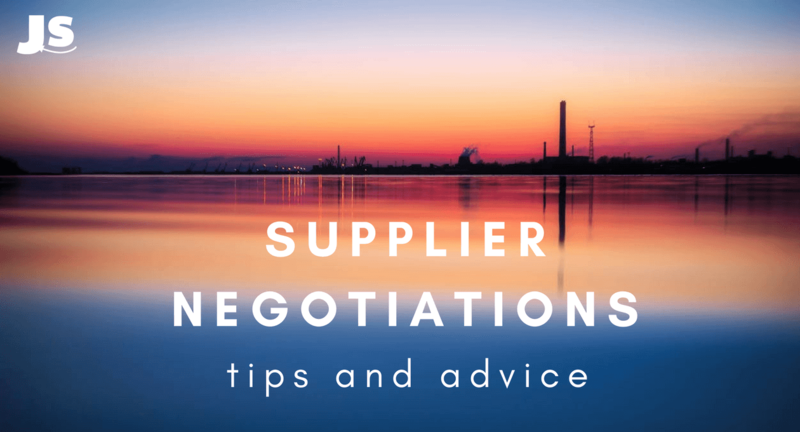 Question #5: How can I negotiate with suppliers? I asked Manuel for his tips on negotiating the best price possible, whilst also being the highest possible quality. The first thing he said was to try and keep an open mind and remember that suppliers have to purchase a lot of raw materials up front, and this is why they often ask for higher MOQ’s (minimum order quantity). You have to remember that if you are a seller asking for 500 pieces, this is not a high order value to a manufacturer, and can often be more pain that it’s worth. Use a white box instead of a color box, with just a barcode sticker and name printed on it – Manuel has used this tactic often as a way to get MOQ’s down to as little as 500 units. Meet in the middle on price to get your MOQ down – for example offer 20 cents more if they will lower their MOQ from 2000 to 1000. Do your final pricing negotiations before ordering – try asking for pricing for higher MOQ’s, like 2000 or 3000 pieces, this is great information to have later on down the line, but also allows you to try and negotiate on price at the time, and meet somewhere in the middle. Be frank with a supplier if you like them but their price is slightly too high and you have another supplier doing it at a better price. Again, you may need to meet in the middle, rather than squeeze every cent out of the supplier. Overall, Manuel was all for negotiation and getting the best price and terms from a supplier but also gave a strong reminder to be respectful of their requirements too. If you find a supplier can not budge on price or MOQ’s then it’s probably best to move on! Manuel mentioned that he does some basic negotiation early on to ensure it’s worth pursuing a conversation with a supplier. This could be a huge time saver. If their pricing looks too high in line with your initial profit calculations, then ask them early on if they will bring down their price to something you can work with. If it’s not possible, it may be time to move on. Question #6: Do you have any tips for importing to Europe? First of all, Manuel explains that Europe is quite strict with regulations, (for example he mentioned CE, REACH, RoHS and more). So it’s important to ensure that suppliers are used to working with clients in Europe and even better if they have test certificates or at least a declaration of conformity where they declare that the product is safe in line with regulations. The good thing is that factories will often acquire these certificates and pay for them. Finding suppliers with experience in your product niche will also be a good approach as they will be more likely to have these certificates. Manuel mentioned that it’s not a deal breaker if a supplier you want to work with does not have certificates, especially not if they are willing to help. Some certificates, like EN71 for children’s toys, are quite expensive, so in some instances you may be able to split the costs of the testing and certificates with your supplier. Manuel advised that you could invest in a one page website, and a professional email. This can help if you are just starting out and want to give a professional first impression. 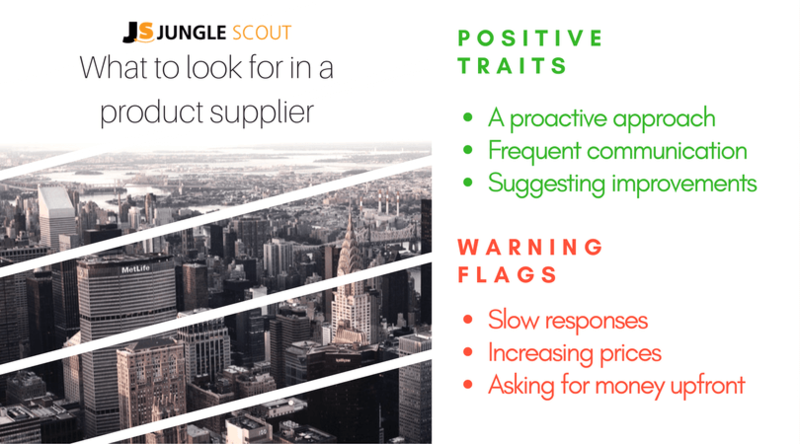 Be honest with suppliers, if someone says they are not interested in your business, move on, there are plenty of suppliers out there who will be interested. Check test certificates for validity online to ensure it’s legitimate. Try to negotiate good payment terms where you can, for example paying 30% down payment and 70% after inspection – but beware that a supplier may not give you these terms until you have built a sustainable relationship with them. Never use Western Union, even for sample orders, as this is usually a tell-tale sign of a scam!! So far I haven’t found the process of speaking with Chinese suppliers too complicated or difficult. Some of the ones I have spoken to are already being very helpful and actually offering advice and support in the way of product enhancements, or ensuring I don’t get caught up with any public holidays. However, even though things seemed to be going smoothly, there were still many questions that I had, so big thanks to Manuel for joining us and sharing his expertise. If you want to learn more about importing from China you can visit Import Dojo or email [email protected]. For professional help on sourcing and brand building on Amazon check out website Ecommerce Butlers! This is just a template and you can make your own copy and add or remove columns as you wish. To download it to your own Google Drive simply click “file” and “make a copy”, or to download an Excel, click “file” and “download as”. I will be continuing this work too whilst in Budapest with the Jungle Scout team, so watch this space for further updates! In the next session, Greg and myself took a look at how to create product design specifications using research and data, so that you can move ahead and order samples – check it out here! If you are following along make sure you share your journey with us by leaving a comment, asking questions in the live sessions or tweeting with #MDCSchallenge! Please can you update if your supplier actually provided the CE or REACH certificates or did you just go with self declaration? Hi Kim, not sure if you will reply a late question, but as far as I remember Manuel´s saying that you should not use a gmail email account, instead it is better to run a professional one with your @yourcompanyname… in this case what are the suitable way to perform that? any special tip for it? Thanks in advance! Many sellers actually do start out using a Gmail and don’t have any issues in working with new suppliers. However, Manuel does make a good point in that it makes you seems more professional if you have your own email address. Here’s an awesome blog post from a provider I have used to get domains from in the past, with tips on how to set up your own email. 1. Packaging: During the presentation it was mentioned that white packaging would help keep costs down, but what if we wanted branded packaging. Do most manufacturers offer these facilities (i.e print, design and manufacture the packaging) or would we have to provide it to them. 2. Shipping Options, what are the shipping options, costs, etc – what should we be asking? 1 – correct, your supplier should be able to manufacture and provide your packaging. This is the ideal way to do it, which is why you need to speak with your chosen supplier about what their packaging capabilities are. You can also send your inventory to another third party for this, but that would normally add time and costs. Some manufacturers would offer design services for your packaging, but Greg advised me that this isn’t the best way to go. You would get much better quality if you hired your own designer and send this to the supplier, who can then print and package your products to your specifications. 2 – We will be covering this in detail with an expert guest next week (27th September). In the meantime, you can find some advice on the topic from the MDCS: US session here. During my negotiations with the suppliers I came across a number of documents and I would be happy if you help me to make order and decide what each document is about, what is necessary and what is unnecessary. A purchase order (PO) is a buyer-generated document that authorizes a purchase transaction. When accepted by the seller, it becomes a contract binding on both parties. Your supplier may require a PO from you, but it’s not always required. Purchase agreements and sales contracts are more like documents that highlight any specific terms and agreements you have decided upon between yourself and your supplier in writing. For example, payment terms, or returns procedures. I am not an expert on this but there’s quite a lot of advice that Greg covered from the collaborative launch which you can find in this post.